Come to Sandwich MA to celebrate the 50thBirthday of the Heritage Museum and Gardens. The Heritage Museum and Gardens is located a pleasant 30 minute walk from Isaiah Homestead Bed & Breakfast – a perfect adventure after your hearty breakfast at the B&B. Opening Day of the Heritage Museum and Gardens and the Spring Fling Event take place on Saturday, April 27th, 2019. A special exhibition called “50 for 50: Fifty Years, Fifty Favorites” will be available on the season’s opening day, April 27, 2019 and continue through October 14, 2019. This exhibit features 50 favorite items scattered around the buildings and grounds of the museum. The “50 favorites” may include special plants that may be placed an unusual place or perhaps a unique carving set along a walkway. You may find a relic from the military presence on Cape Cod. Look for some folk art hiding near some detailed scrimshaw. 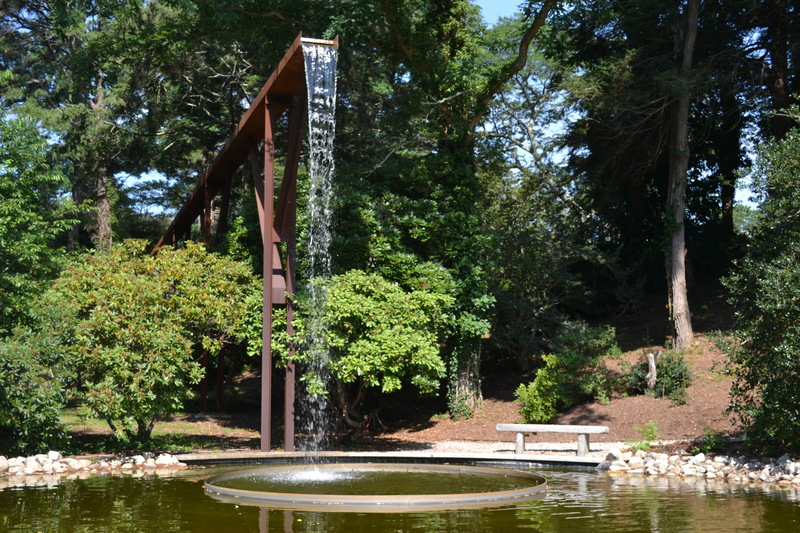 The “50 Favorites” found throughout the garden grounds were selected by some long-time members of the museum, local leaders, and experts in art or gardening. Enjoy discovering this new exhibit that celebrates the 50thBirthday year of the Heritage Museum and Gardens. “Human/Nature” is new outdoor sculpture exhibit that begins in May and continues through September. The title of the exhibit is perfect for these outdoor sculptures made from nature’s flora substances or minerals and produced by human artists. Five artists create their pieces in a different month and the variety, the size, and the substance of each work of art will amaze you. The art is designed to look at how nature and humans interact and coexist. The five artists or artist groups are The Myth Makers (Donna Dodson & Andy Moerlein), Partner Projects (Timothy Ellis Cole), Nancy Winship Milliken, Gints Grinbergs, and Michelle Lougee. Read more about the wide range of approaches and media used by the artists for these wonderful outdoor creations. There is SO much to explore in this 100-acre gem here in Sandwich, MA! From vintage cars to special flowering shrubs – you will say “wow” at each turn of the trail and each indoor exhibit. Make your reservation at our B&B and plan your visit to the Heritage Museum and Gardens now.